CSK WIN This was a classic CSK finish. Played smart, didn't panic, aced the nervous moments and got the job done. Finished the game with 5 wickets in hand and two balls to spare. Jadeja, who was whacked all around the ground while bowling, has put the finishing touches to CSK's seventh win of the season. Suresh Raina finished unbeaten on 42-ball 58. KKR's losing run has now stretched to three games. Ravindra Jadeja has milked Harry Gurney for 16 runs in the penultimate over and brought down the equation to 8 runs from the last over. Poor bowling by the left-arm pacer. He missed his lines and lengths and Jadeja took maximum advantage of that. FIFTY Suresh Raina has played a well-paced innings today, keeping CSK in chase with a fine half-century. On a wicket where it seemed batting would be easy, has been mired with a few challenges. The job, however, isn't complete as yet. WICKET Just when everything looked settled for CSK, Sunil Narine has trapped MS Dhoni plumb. Very unconvincingly, the CSK skipper took a review and wasted it. Crucial strike. Even as the equation looks simple for CSK, KKR have entered their lower order. A couple of wickets from hereon can make the contest really interesting. Suresh Raina and MS Dhoni have released some pressure from the chase with some aggressive strokeplay. CSk look comfortable for now, needing 42 from the last 5 overs. WICKET Piyush Chawla has struck again. Kedar Jadhav, who had started his innings in fifth gear, is trapped legbefore with a googly. With regular wickets, KKR have kept CSK's chase in check. 81 for 4. Deepu has a question... or maybe, a statement. WICKET Ambati Rayudu has fallen soon after the first strategic timeout of CSK's innings. A nice tossed up delivery by Piyush Chawla is slashed straight to the cover fielder. This shouldn't be the most challenging chase. But having said that, maybe there is more for Ambati Rayudu to prove tonight. WICKET! Sunil Narine is brought in to the attack in the last over of the powerplay and strikes. Faf du Plessis looks to go for a slog sweep and misses the line to have his stumps disturbed. 44 for 2. WICKET Harry Gurney strikes. Coming round the wicket, he traps Shane Watson, who is late on the shot and missed the line, legbefore. KKR need quite a few of them and quickly to keep themselves in the contest. INJURY ALERT Andre Russell is struggling with his hamstring. He battles through pain to finish his over and then walks off the field. Shane Watson and Faf du Plessis have walked out to open the innings for Chennai Super Kings. Prasidh Krishna with the new ball. Kolkata Knight Riders struggled to get going in the death overs and were restricted to 161/8. In fact, barring Chris Lynn, none of the other batsmen managed to make a significant contribution. Given the kind of start they got courtesy the big hitting Australia went wasted, largely due to Imran Tahir's four-fer and some good catching by Faf du Plessis in the deep. It's a below-par target and CSK would be extremely satisfied with the effort. WICKET Another catch for Faf du Plessis. Dinesh Karthik fails to time a slower delivery by Shardul Thakur and the ball goes high in the air for du Plessis to have enough time, come settle under the ball and take the catch. KKR's inning seems to be getting derailed following Lynn's dismissal. WICKET It's Imran Tahir again. Andre Russell wasn't willing to bide his time out in the middle, swinging right from the first ball. But fails to middle one and hits it flat to the long on fielder. Fourth wicket for Tahir. And then we know what transpired thereafter. WICKET Imran Tahir returns to bowl and strikes again! Chris Lynn goes for a slog pull and hits it straight to Shardul Thakur at deep square leg. Crucial strike. Third wicket for the leggie. Who said Chris Lynn struggles against slower bowlers! He has just smashed Ravindra Jadeja for three consecutive sixes - on the off, on the leg and straight down the ground. WICKET Imran Tahir and Faf du Plessis combine again to strike for the second time in the 11th over. Robin Uthappa, looking to hit over the in-field on the legside gets a top edge and du Plessis takes a fine forward diving catch at long off. Gets out for a golden duck! WICKET Imran Tahir comes in to the attack and Nitish Rana falls, in a fashion much similar to that of Sunil Narine. Looking to hit over the top, he holes out to Faf du Plessis at long on. Second wicket down for KKR. But more importantly, no more left-handers to deal with till Piyush Chawla, allowing the spin troika to work more effectively. That was indeed a surprising decision. But maybe Dhoni is confident of working more effectively with his spin options. Agree, but it also depends on how well he plays the deliveries angling away from him. That has been his undoing in the past few games and CSK too used that ploy against him early in his innings today. With a very quiet, uncharacteristic single, Chris Lynn brings up his fifty, off only 36 balls. As the two teams go to the first strategic time out, at the end of the ninth over, KKR are well placed at 71 for 1. Surprisingly, left-arm orthodox spinners have been successful against Sunil Narine in IPL. POWERPLAY SCORE - KKR 49 for 1, pinch-hitter Sunil Narine out. WICKET Sunil Narine, who didn't get much strike through the course of the opening partnership, falls early. Looking to hit Mitchell Santner out of the ground, mistimes and holes out to Faf du Plessis at long on. They have done it over and over again, season after season. Quintessential CSK. Far ahead, thinking too far ahead.You can enjoy Chris Lynn's carnage for now. Chris Lynn isn't wasting any time. He is taking on Deepak Chahar, who isn't getting a lot of swing. The pacer has been creamed for 22 runs off his first two overs. The pitch has given enough early indication that a 200-plus score could be on. No 3 isn't a bad option for him either. All eyes on the World Cup squad. Less than 24 hours remaining. Chris Lynn and Sunil Narine have walked out to open the innings for Kolkata Knight Riders. Deepak Chahar with the new ball. TOSS MS Dhoni won the toss and elected to field. Chennai Super Kings are unchanged while Kolkata Knight Riders have three changes. Chris Lynn and Sunil Narine have returned, while Harry Gurney has replaced Lockie Ferguson. To be honest, KKR look unsettled even if one of their Starting XI players gets injured. That doesn't seem to be the case with CSK or some of the other teams. Hello and welcome to match 29 of IPL 2019, to be played between Kolkata Knight Riders and Chennai Super Kings. After a dramatic finish to their last game, CSK find themselves comfortably placed at the top, 4 points clear of the next best. KKR, on the other hand, have left the early advantage slip with back to back losses. 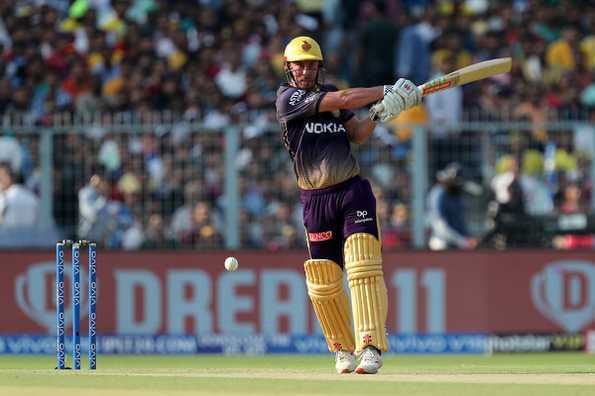 However, there is some good news for them with Sunil Narine and Chris Lynn expected to return. Andre Russell's injury update, however, is yet to be ascertained.